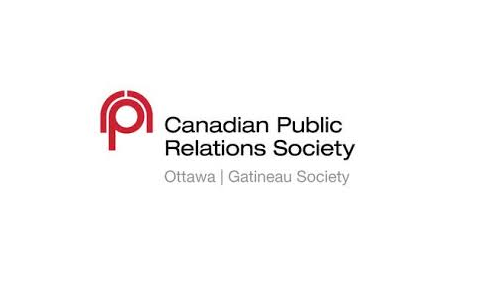 Young PR Pros host, Kristine D’Arbelles, gives listeners a recap of the CPRS student event in Ottawa called Behind the PR Scenes – an evening with Jim Watson. Strong community leaders, businesses, and associations need talented support teams who work behind the scenes to help develop strategies, engage audiences, and deliver key messages. In Ottawa, no one knows that better than our mayor. Mayor Jim Watson accepted CPRS’s invitation to bring three of his trusted advisors for an inside look at best practices and why our mayor is so successful using online and offline communications channels to tell the city’s story. The Mayor and his team sat on a panel moderated by none other than Joseph Thornley himself. Some of our listeners might know the iconic name. Joe Thornley is the co-founder of Thornley Fallis & 76design and host of Inside PR. Joining the Mayor on the panel was his Director of Community Relations, Danielle McGee, Press Secretary, Ryan Kennery – who our listeners probably recognize from our time at the uOPRA conference last month – and Special Assistant, Brook Simpson. The Mayor started with a little history lesson on himself, including his famous wall of rejection letters. Part of his career included being the President and Chief Executive Officer of the Canadian Tourism Commission. He had the joy of promoting our great country to the world, on a very tight budget. Mr. Watson shares some unique ways to think outside the box to get noticed. When he was elected as Mayor for City of Ottawa, his popularity grew quickly as the Mayor on Twitter. But not all Twitter activity if glamourous. We even learned about his facetious side on Twitter, follow #factsmatter to find out more. And of course, no questioning of a Canadian Mayor is complete without a Rob Ford reference. But we are in Ottawa lucky to have a boring Mayor that spends quality time inside the community with the people of the City of Ottawa. Stay tuned over the next few weeks to hear more from Behind the PR Scenes. We will discuss the Mayor’s opinion on relationships with the media and the changing PR landscape; the immediacy of Twitter and how politicians should respond on social media; and more. This entry was posted in Young PR Pros podcast and tagged communications, jim watson, julia kent, kristine d'arbelles, politics, PR, young pr pros, young professionals, young pros by Kristine D'Arbelles. Bookmark the permalink.